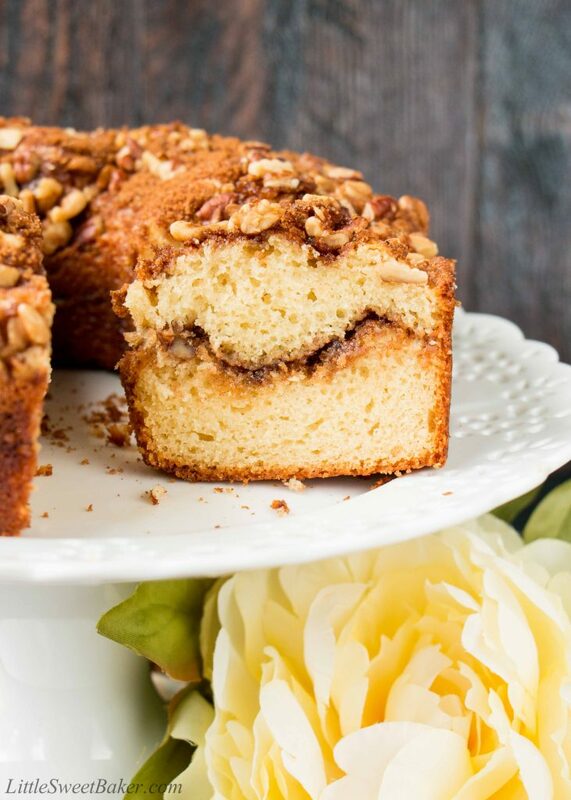 This sour cream coffee cake is anything but dry and bland. 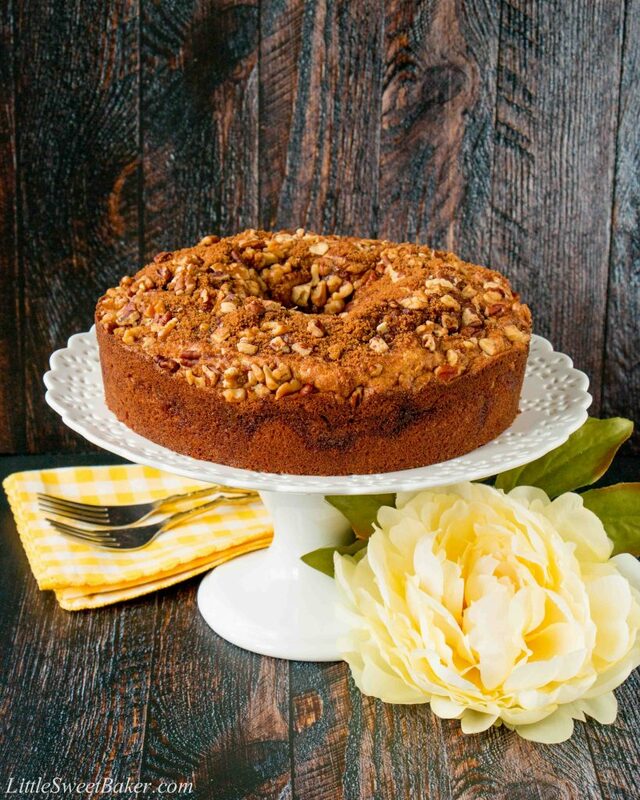 With its tender and moist cake crumbs, and its spicy and nutty brown sugar streusel, this cake is guaranteed to be your most requested recipe. 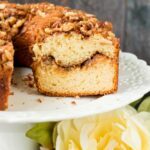 My husband thinks of coffee cake as a dry-bland old lady dessert (no offense to any little old ladies out there), but even he was AMAZED about how moist and delicious this cake was. My kids even enjoyed it and you don’t normally think of coffee cake as a kid’s dessert. To be honest, they would have preferred it without the nuts, but couldn’t get enough of the cake itself. This recipe starts with creaming the butter and sugar together until light and fluffy. Then you beat in your eggs, sour cream, and vanilla. You mix in your dry ingredients and your batter is done. 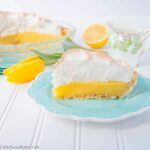 The sour cream is the key ingredient in this recipe. 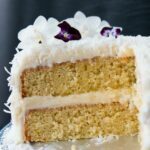 It makes the cake incredibly soft, tender and moist. 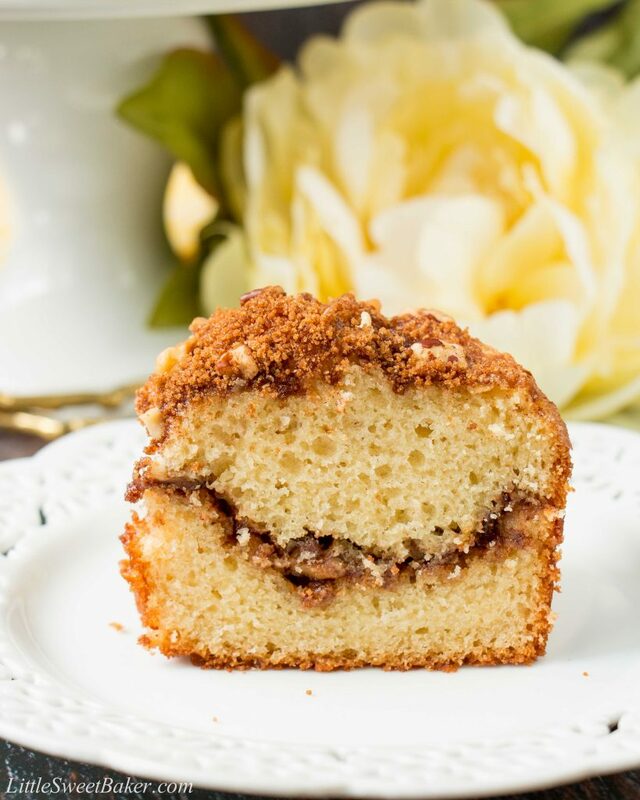 The cinnamon and brown sugar streusel is what gives this cake its main flavor profile, so I used a whole lot of cinnamon and brown sugar to really pack a punch in flavor. 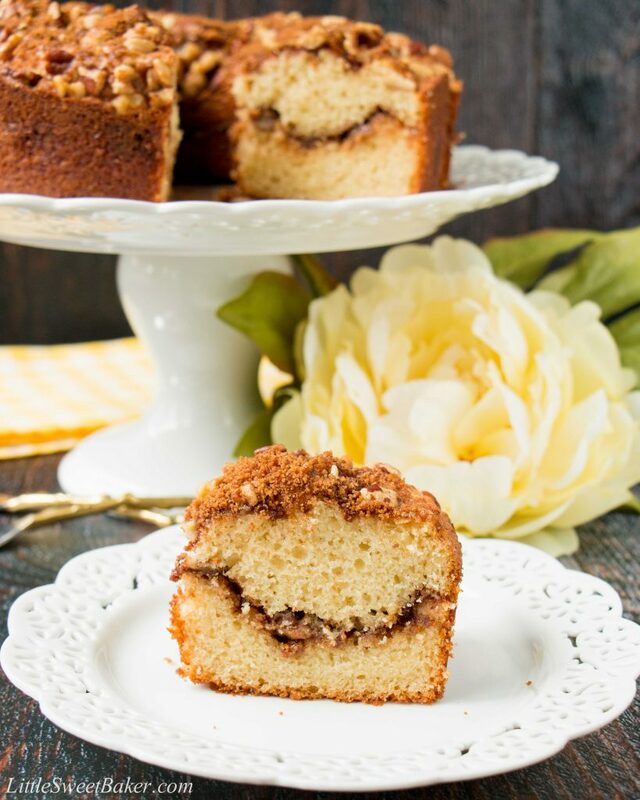 The texture of this sour cream coffee cake is soft and moist. The taste is spicy with the sweet notes of caramel and molasses. There is a soft scent of vanilla and cream from the cake. And if you do add nuts to the streusel, it adds a whole other layer of taste and texture to the cake, which I highly recommend. Preheat oven to 350F. Butter and flour a 10″ tube pan. In a medium bowl, toss together the flour, baking powder, baking soda and salt. Set aside. In a small bowl, mix together all the streusel ingredients. Set aside. 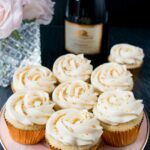 Using an electric mixer or stand mixer with paddle attachment, cream together the butter and sugar until light and fluffy. Beat in the eggs, one at a time, mixing well in between. Mix in the sour cream and vanilla until smooth. Stir in the dry ingredients until just combined. Batter will be thick. Spoon half of the batter into the prepared baking pan. Spread to cover the bottom of the pan. Sprinkle half of the streusel over top. Repeat with the remaining batter and streusel.